In terms of quality and profitability M10 Industries sets new standards. 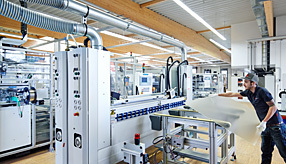 With this in mind, we develop solutions on a daily basis, that are perfectly suited to meet our customers’ specific requirements – together with our subsidiary SI Module. We stand for cost-related innovations. The very first solar pioneers incorporate their quality standards and in-depth knowledge of the market into our business. 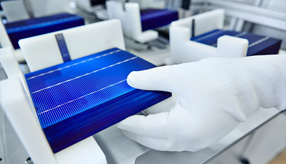 The close connection to our subsidiary ensures the synthesis of three business areas in the solar industry – development, production and technology – creating a new innovation and competence center for our sector. Our way to the top: the advent of M10 Industries was shaped through our unstoppable pioneering spirit and an ambitious vision of strong performance and efficiency.